On the positive side, voters are more aware of their rights and more politically involved than ever – in the past, many didn’t even care because they felt change was a hopeless quest. They know better now. Their voices will be heard louder in the coming years. For now, time to look onward and upward. 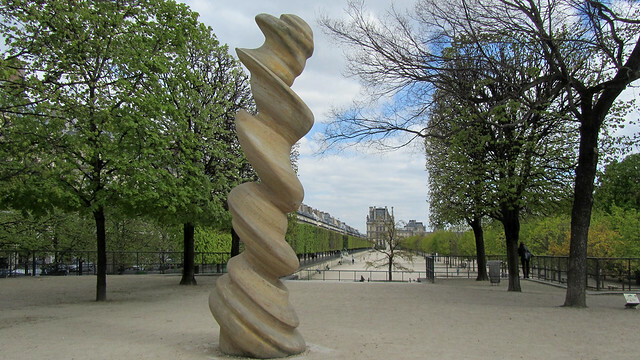 29 Apr: There are many sculptures tucked within the Jardin des Tuileries and it seems I’m still discovering new ones each time I popped over for a stroll. Today’s find is one simply entitled Column, by Antony Cragg. Tucked just behind the Jeu de Paume, had I not been at the WHSmith to look for books and then decided to take a small walk, I may still not be aware of its existence! 30 Apr: This photo was actually taken last week, on the first day of the window works in our apartment. It was finally completed yesterday, but I’ve been sick pretty much from Day 2 of the work period. I felt worse than ever today, without any wish to leave the apartment. I spend most of the day staring out the window, with a fuzzy head and Rudolf-red nose. I’ve kept myself active in the last few days but today, I need a good rest. 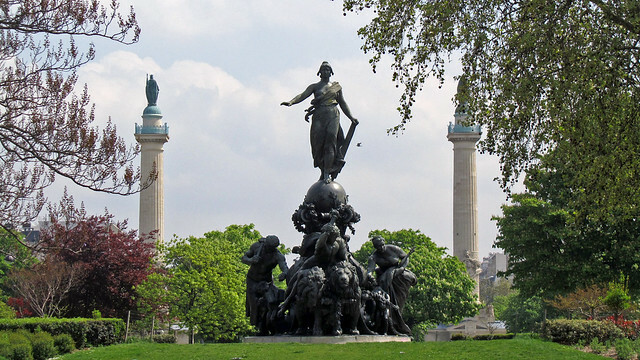 2 May: Le Triomphe de la République is an interesting sculpture, representing the victory of French Republic, a victory that is driven by the population (represented by the lions pulling the chariot), surrounded by Justice, Peace, Labour and Wealth, and not forgetting the importance of Education too. Situated in the centre of a roundabout, the garden surrounding the statue is blooming beautifully with multi-coloured flowers and makes a good lunch-break spot. 3 May: Right next to the entrance/exit of the Cité métro station is a market, reserved for the trade of flowers and birds (and other small pets). The florists are there daily whereas Sunday is the day where birds and small animals make their appearances. 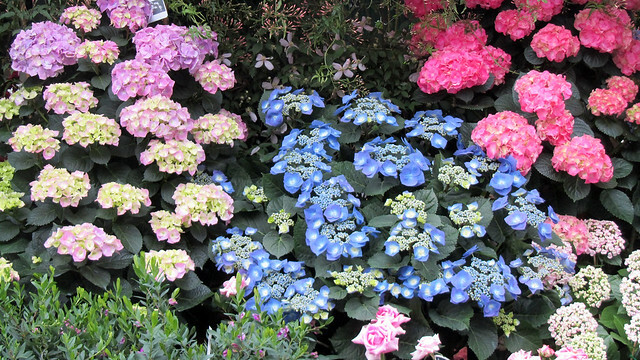 On a nice day, passing by the market doesn’t only guarantee an explosion of colours but also of scents wafting from the blooms, ever so seductively pulling people over to perhaps buy a bouquet, or a pot or two, of flowers. 4 May: These are no ordinary potatoes. 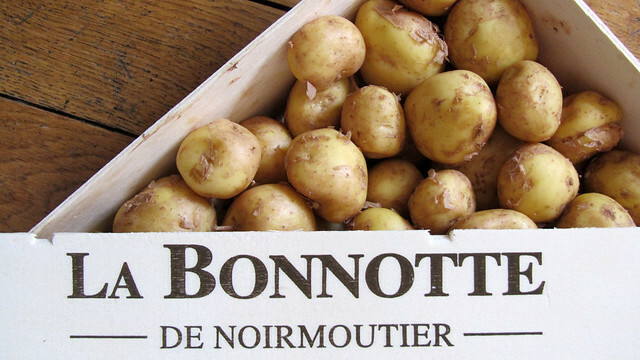 Harvested by hand in the isle of Noirmoutier, they have been cultivated in conditions that quality can be tasted in the potatoes themselves – earthy yet slightly salty. La Bonnotte variety is the most delicate among those planted in Noirmoutier, and the price tag reflects the work put into its cultivation. F bought some today and already we prepared a simple warm potato salad this afternoon for lunch. By making it without too much vinaigrette or other condiments, we really get to taste the potato as it should, nutty with just a hint of delicate saltiness. It is incredibly easy to eat more of them in comparison to other potato varieties. 5 May: When I was sick during the week, I was less amenable to the suggestion of sitting through movies at the cinema. We caught up a little this weekend, and today we went to La Pagode to see Mud, starring Matthew McConaughey. I like this cinema for its unique setting: an ancient Japanese Pagoda which has seen its days as dance-hall is now used as theatre/cinema. 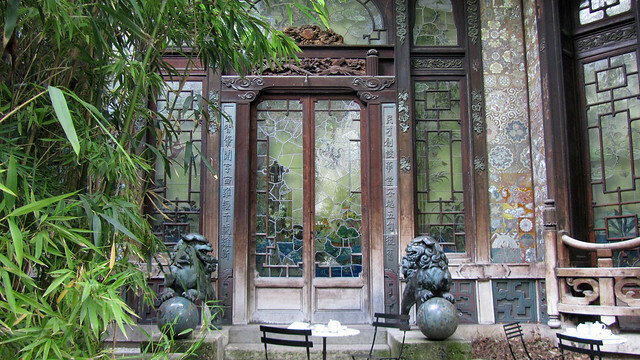 It retains its highly stylised architecture, and in the Japanese garden, one could stay for some tea and to chit chat. It is a somewhat hidden spot, and totally delightful to discover. So was Mud any good? It looks interesting to me. I was sorry to hear about the Malaysian election result, I can imagine it must be frustrating. Hopefully it is the start of a new movement from the popular vote though. Hehehe, what a coincidence indeed! The political situation is going to be a gift that keeps giving in the coming days. We’ll see how it unfold. I’m not against the government, but I’m against the ambitions of the ruling few who are stripping the civil rights (and justice, wealth, equality etc) from the people. 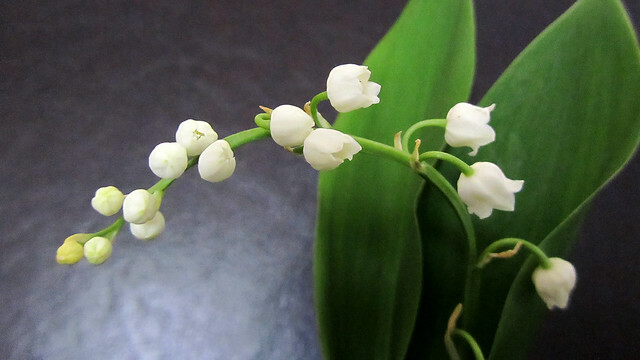 wow…muguet is sooooo cute and all the best with the lottery n a nice apartment hehehe…btw how much would one cost in paris these days? LOL, we talked about buying lottery each week but never actually do :p A nice 2-bedroom apartment in a mid-range neighbourhood at about 50m2 could easily be upward of 350K. It’s scary, the prices in Paris. 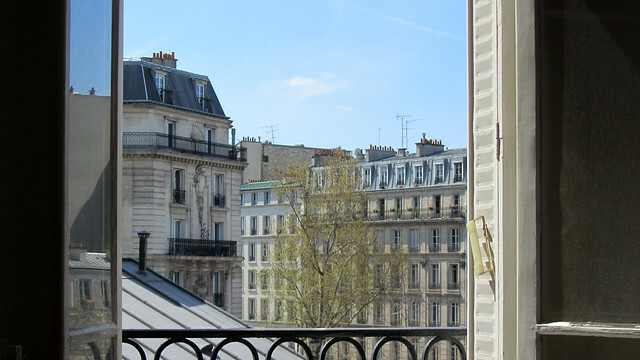 Renting a 25m2 studio cost anything from 650-1000 a month, depending on the quarter. It was a magic show that most citizens did not expect and do not want to see. We’ve been hoodwinked!